WE ARE PLEASED TO ANNOUNCE THAT THE INN HAS BEEN NEWLY UPDATED THROUGHOUT!! We are excited to announce that each of our guest rooms have been beautifully updated with new pillow top mattresses, beautiful custom blackout drapes, carpet, paint, furniture, club chairs and fine linens! Located on a bluff, Bandon Inn overlooks Old Town Bandon, Marina, Coquille River and the Pacific Ocean beyond. Miles of stunning beaches and ocean breezes, panoramic views, beautiful sunsets, world class golf and fine local dining all come together to make your stay at Bandon Inn a memorable experience. Come visit the unforgettable Southern Oregon Coast and let Bandon Inn be your host! **Bandon Inn and Gift Shop are now open 24 hours. For your convenience, we are always available to assist you! **Bandon Inn is now offering free local airport, golf course and restaurant transportation for our guests! **Ask about our Frequent Guest Awards Program! Stay 9 nights and get the 10th FREE! **NEW! "Breakfast To Go" Need to checkout early? We've got you covered and it's FREE! Located on a bluff, beautifully remodeled Bandon Inn overlooks Old Town Bandon, marina, Coquille River and the Pacific Ocean beyond. Miles of stunning beaches and ocean breezes, panoramic views, beautiful sunsets, world class golf and fine local dining all come together to make your stay at Bandon Inn a memorable experience. 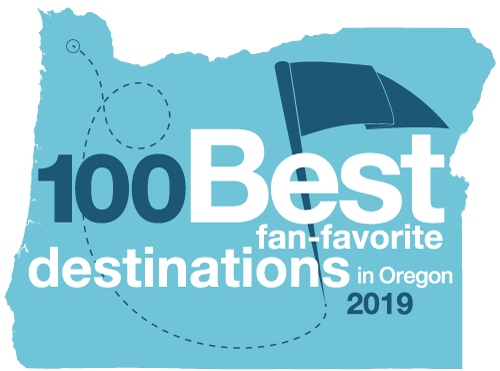 Bandon Inn has been awarded the #2 Best Fan Favorite Destination in Oregon! © Copyright 2019 Bandon Inn. All rights reserved.